The Eames DSR is a true design classic. 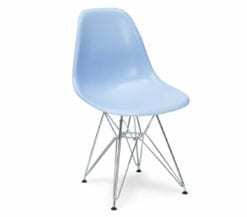 With its iconic steel Eiffel legs and ergonomic moulded seat, the Eames DSR is available in almost every imaginable colour. 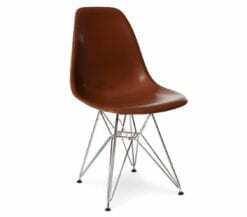 Simple, practical and beautiful, it suits all interior styles. 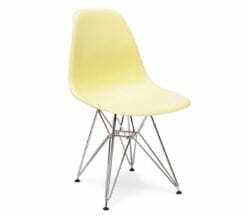 It’s unbelievable to think that this chair was designed and originally manufactured in 1948 and is still as relevant and popular in today’s interiors.